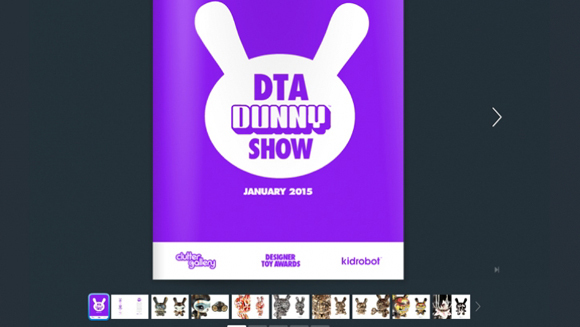 As we here at The Clutter Gallery sit down with Kidrobot to discuss which artists to invite into “The 2nd Annual DTA Dunny Show,” it’s impossible not to think back on the initial outing from this past January. An art exhibition benefiting the Designer Toy Awards, it was filled with the sort of works that make us all proud to be part of this burgeoning art scene. But before we get around to announcing next year’s array of top-tier talent, both established and emerging, we want to properly honor all the art and artists from that first outing. So we’ve put together a wonderful online exhibition catalog for everyone to enjoy and we hope you are thrilled by the contents as much as we are. We hope this talented trip down memory lane will whet your appetite for all the possibilities to come in 2016!